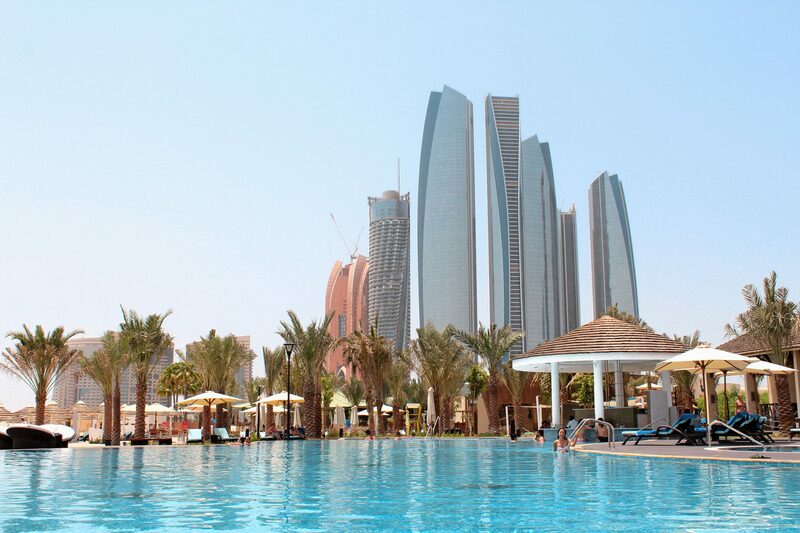 In an elevated position overlooking the sea, the Intercontinental Abu Dhabi offers the height of luxury and is considered an iconic landmark at the heart of the UAE capital. With 285 metres of private white sandy beaches and its own marina, InterContinental Abu Dhabi is an exceptional resort and a destination like no other. The hotel location is quite central without being right in the middle of this bustling city, which is evidently a favorite destination for both tourists and international visitors. In just a short 3 minute taxi ride you will find yourself amidst the centre of Abu Dhabi and all of the tourist hotspots are located just a short drive away. From the moment you walk through the doors of this hotel, you are treated as a friend of the staff who make every endeavor to ensure you enjoy your stay. 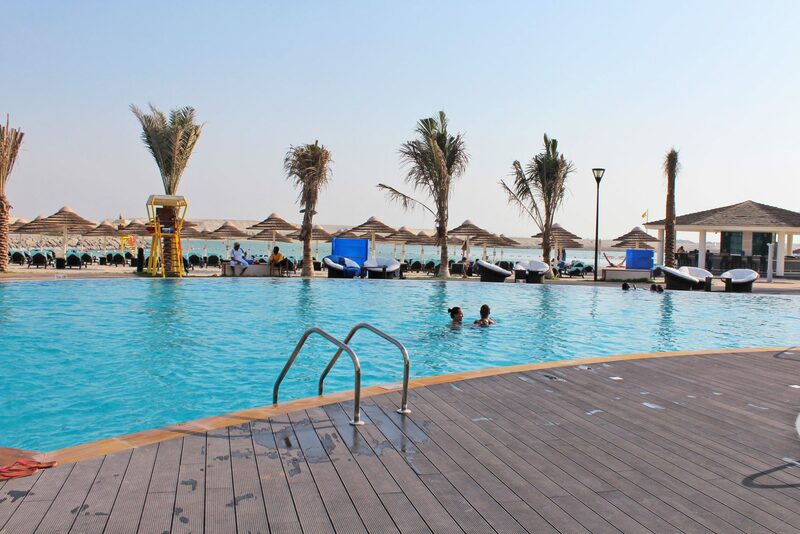 The Intercontinental Abu Dhabi is home to the following: a private beach, large outdoor swimming pools, indoor swimming pools, a sun terrace, five restaurants (my favorite is the Brazilian Churrascaria) and four tennis courts. So the dining options available inside the hotel are plentiful and if you don’t desire to venture elsewhere in Abu Dhabi you really will not need to. Should you be interested in experiencing more of what the city has to offer, everyone at the concierge is extremely friendly and happy to assist. 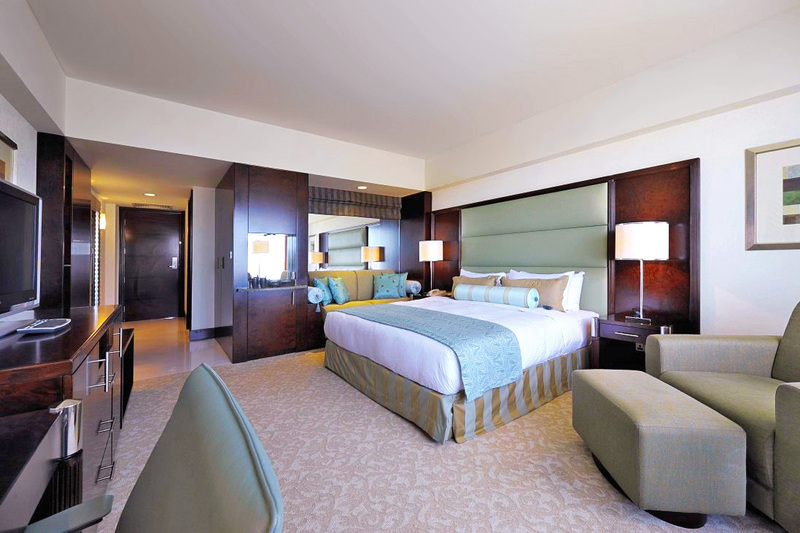 Rooms are incredibly spacious with a contemporary interior, giving this hotel a very classic feel but with a modern touch, and they’re equipped with all the necessary features – complimentary wifi, luxurious toiletries, and ample space are just a few highlights worth mentioning. It felt homely and warm, especially with the sun pouring through the large beach-facing windows. In conclusion, I’d certainly return, and I‘d highly recommend this hotel if you’re able to get a good deal. The service was among some of the best I have experienced worldwide and was at a very high standard across all departments.